According to a Marvel Twitter fan account that is pretty legit, trailer will be out Wednesday morning. We shall see. I doubt we'll see any Pfeiffer footage, though. Not expecting to see Michelle. It's still very hush, hush. It'll probably consist of the MVP we are already familiar with. Looking forward to getting the 1st teaser though. But think about it they showed none of Michelle for Antman because she was new to the universe and wanted a big surprise but now people already saw her as Janet so just my opinion they will show her in this trailer maybe not talking though just quick looks at her at least I am hoping so!!! Hey, this is a good point. I hope you are correct. I guess the trailer got pushed back and will not be out tomorrow because of Bush's funeral. If they're going to tease us, they better at least show Pfeiffer in it. Even Annette Bening got some facetime in the new 'Captain Marvel' trailer. I really hope Pfeiffer gets something interesting to do with Janet moving forward. To be fair... I don't think anyone who was disintegrated showed up in this trailer, so the lack of Janet was no surprise. I think we'll just have to wait for the movie so that we can see her 2 minutes of screentime. Barely anyone was in the trailer. Even some of the other Snap survivors weren't in it... 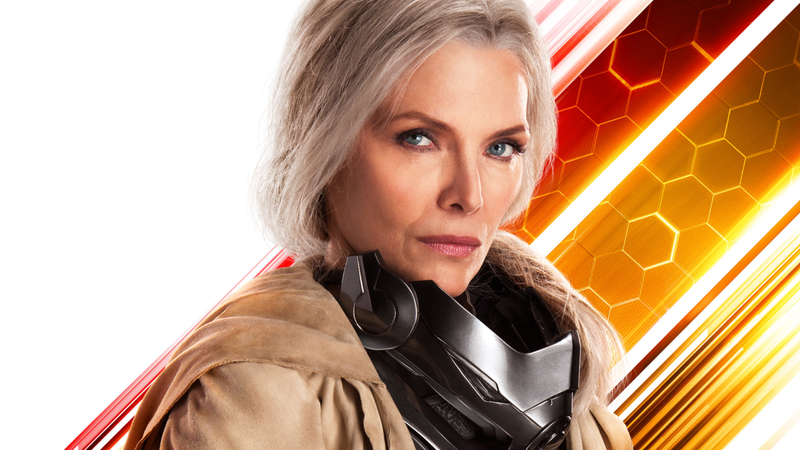 In regards to Michelle, we can deduce from public statements and from reading between the lines of Ant-Man and the Wasp that she'll have a role to play here. We just don't know to what extent (Actually, we still don't know anything about this movie!). I just hope it's a worthwhile role... Man, this movie's got me hyped. Would you be happy if it's just a couple of short scenes with a couple of lines for her and then the big scene with every MCU hero? I probably would be okay with it. April isn't that far away, so we'll find out fairly soon. I'm wondering if she is in this film. There's a new trailer out now and she isn't in it, nor is her image or name anywhere on the poster. My expectations for a decent amount of screen time are low, very, very, very low. Remember what Sebastian Stan said, though. She filmd a big scene with all the other Avengers, unless he made it up, I think she'll be in at least one scene. Which would be disappointing, but what can we do. They left off quite a few names on the bottom of the poster, though, didn't they?